Police are concerned for the safety of Eileen Hill, who has been missing from her home in Chesterfield for a week. Ms Hill, 37, pictured left, was last seen at her home on the morning Tuesday, April 29th, but was reported missing the following day and her family has not seen or heard from her since. It is now known that Ms Hill took a taxi from Chesterfield to Sheffield on the evening of Tuesday, April 29th. She was dropped off on West Street at the junction with Rockingham Street at around 10pm. 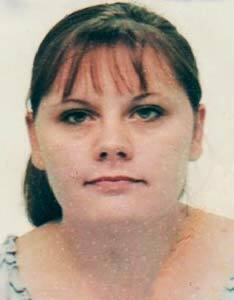 Ms Hill is 5ft 7ins tall, of medium build, with shoulder length brown hair. She is thought to have been wearing a waterproof purple coat and jeans and carrying a large cream coloured handbag. Police are appealing to Ms Hill or anyone who has seen her to contact them on 101, as her family are growing increasingly concerned for her well-being.